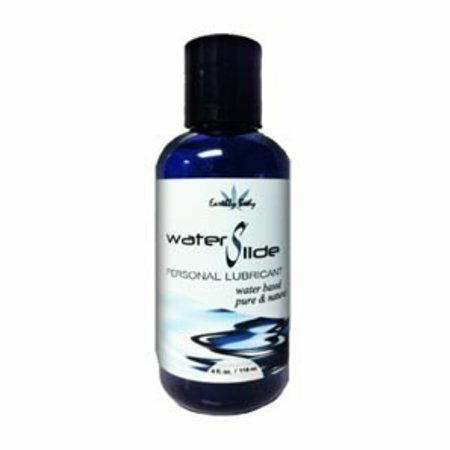 WaterSlide is a water-based non-toxic, non-staining, odorless, vegan lubricant. It features natural carrageenan extract (from red algae seaweed). Recent in-vitro studies have shown that carrageenan may help inhibit HPV (human papillomavirus). Just three ingredients (purified water, propanediol, natural carrageenan). No parabens, glycerins, or preservatives. 4 oz. squeeze bottle.